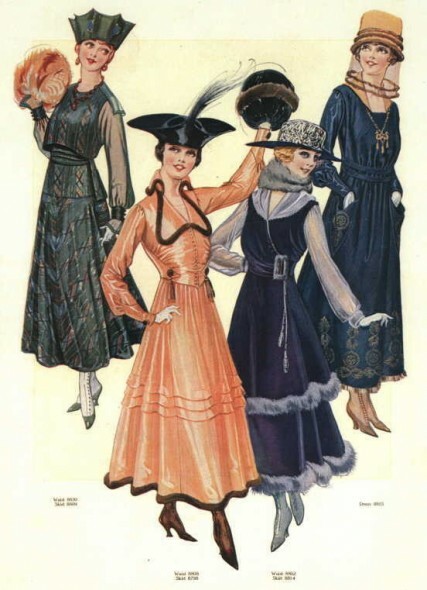 The following year witnessed the abrupt decline of the war crinoline, and it was declared, “Fashion, under the hard lessons of the war, has sobered down; it is now correct, becoming, and practical.” Nevertheless, this brief fashion fad reflected the times, where people were still optimistic about the closeness of the war’s end, and it helped to sever fashion from its 19th century roots forever. And it is amazing that we’ve nearly reached the 100 year anniversary of WWI. *gasps* Thanks to your site, I have just stumbled over an historical basis for the silhouette I habitually wear. This is roughly my favorite period for a lot of things, including cookbooks, but… wow. Awesome! Hope you continue to stop by!